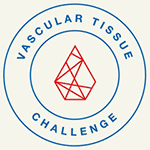 The Vascular Tissue Challenge is a $500,000 prize purse to be divided among the first three teams who can successfully create thick, human vascularized organ tissue in an in-vitro environment while maintaining meta- bolic functionality similar to their in vivo native cells throughout a 30-day survival period. NASA's Centennial Challenges Program is sponsoring this prize to help advance research on human physiology, fundamental space biology, and medicine taking place both on the Earth and the ISS National Laboratory. Specifically, innovations may enable the growth of de novo tissues and organs on orbit which may address the risks related to traumatic bodily injury, improve general crew health, and enhance crew performance on future, long-duration missions.